Experiment Farm: It's Washington's Birthday... Or is it? It's Washington's Birthday... Or is it? 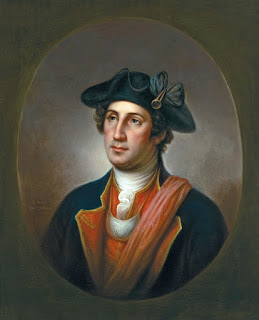 The ultimate irony of my post from yesterday about Presidents' Day is that, had you asked George Washington himself what his birthday was, he would have said February 11, 1731. If you go to a history book, or his Wikipedia page, you'll see listed as his date of birth February 22, 1732. Legally that is correct, but again, if you had been at Mary Ball Washington's bedside as she pushed ol' George out, the page-a-day bacon-lovers' calendar on her bedside table would have said February 11. Imagine you're the pope. It's the 1500s and the Western world has been using the Julian calendar since Julius Caesar decreed it 45 BC. Everything's going fine, except you have to decide when Easter is every year. For some reason it keeps ending up earlier and earlier in March. Eventually, it'll end up on Christmas. Your scientists tell you its because ol' Julius, as clever as he was, calculated a year to be 365.25 days, when it's really just 11 minutes short of that. After 1500 years, that 11 minutes has added up to 10 days. So you come up with a new calendar, change the frequency of leap years, add back in 10 days so the vernal equinox happens on March 21 again instead of March 11, and because your name is Pope Gregory XIII you name the new calendar after yourself giving us the Gregorian calendar we know and love today. Now imagine you're a post-Henry VIII-schism pope-hating Englishman. You're not going to let some guy in Rome tell you what day it is, so you stick to the Julian calendar. Until a couple hundred years go by, your calendar is now 11 days off, and everyone else in the world makes fun of you for celebrating New Year's on the Feast of the Annunciation, March 25. Finally in 1752 you bite the bullet and decide to switch. To follow along as Washington experienced it... On February 11, 1751, you turn 20 years old. About a month later on March 25, you ring in New Year's 1752 presumably drunk in the colonial version of Time's Square watching the ball drop. Then about 9 months later, you ring in 1753. Two New Year's in less than a year. Whoa. Then on February 22 (10 days after the birth date you've known your whole life) you finally turn 21 (without ever actually celebrating a birthday in 1752) enter into your majority and go off to fight in the French and Indian War where you make a name for yourself in the military. Considering his birthday moved around so much during his lifetime, maybe it is fitting then that a few hundred years later we celebrate his birthday on a random date between the 15th and the 21st.